Want to get a jump on your holiday spirit? No? 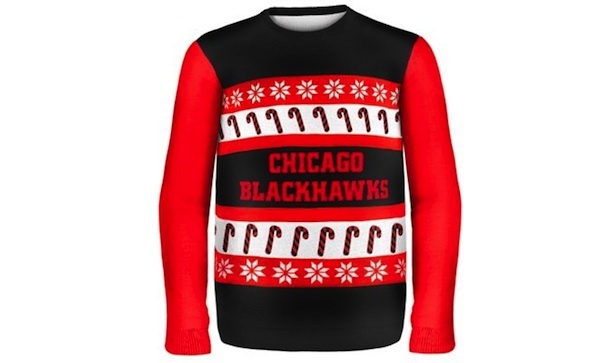 Too bad—the NHL has dropped a selection of ugly Christmas sweaters ($65), and they’ll go great with your NHL Christmas ornaments. So far, Detroit, Pittsburgh, New York, Chicago, Boston, and Philadelphia are represented. No Canadian teams? Hey, they aren’t even in the NHL’s Canadian store yet. Time to do all our shopping cross-border . . . again.